The human need for nourishment— and the pleasure of a good meal— cannot be overstated. The cooks who prepare those meals– from elegant restaurant dining to fast food production- have fast-paced careers with more facets than you might expect. Under the direction of chefs or food service managers, cooks follow recipes to prepare restaurant-sized portions. They measure and mix ingredients to create their assigned menu items, and may garnish them to be served. Items may range from breakfast omelets to salads, steaks and desserts. They keep their work areas and equipment clean, following safe food handling procedures. Cooks use a variety of equipment, including blenders, stoves, grills, many different pans, and sharp knives. Some kitchens employ many cooks, each assigned a particular area such as fry cook, vegetable cook, or others. Some cooks order supplies and plan the daily menu. In a fast-food setting, cooks prepare a limited menu to be kept warm until sold. Cafeteria cooks usually prepare a large quantity of a limited number of items, with a menu that changes regularly. 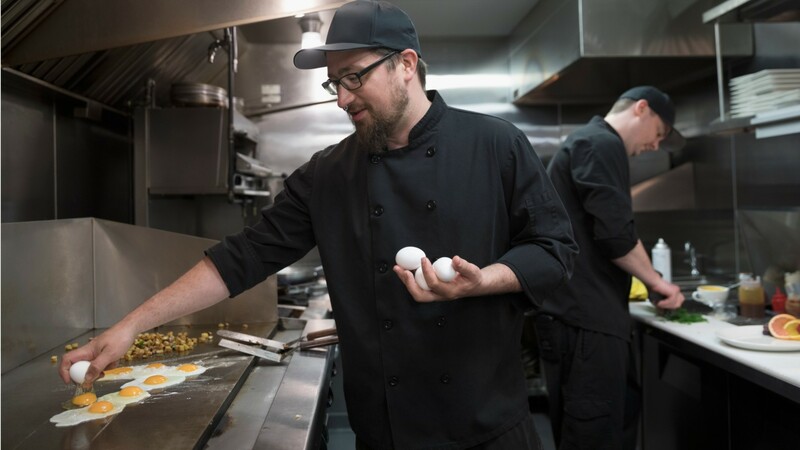 Short-order cooks emphasize fast service and quick preparation, with items such as eggs, sandwiches and French fries on the menu. Private household cooks, also known as personal chefs, prepare meals according to a client’s preferences. They order groceries and supplies, clean the kitchen, and may cater social events. Most cooks work full time in shifts that may include early mornings, late evenings, weekends, and holidays. Cooks in schools and institutional cafeterias usually work more regular hours. Cooks stand much of the time, and —at rush times— experience high intensity in close quarters to produce meals quickly. Falls, burns, and cuts are hazards of this field. Most cooks learn their skills on the job. Although no formal education is required, some cooks attend culinary training programs of between 2 months and 2 years, while others learn through a 1-year apprenticeship. See more details at O*NET OnLine about cooks, fast food. Cooks, Fast Food by U.S. Department of Labor, Employment and Training Administration is licensed under a Creative Commons Attribution 4.0 International License.